Naturally decadent in taste yet filled with miraculously healthy Omega-3 fatty acids, salmon is truly a super food. 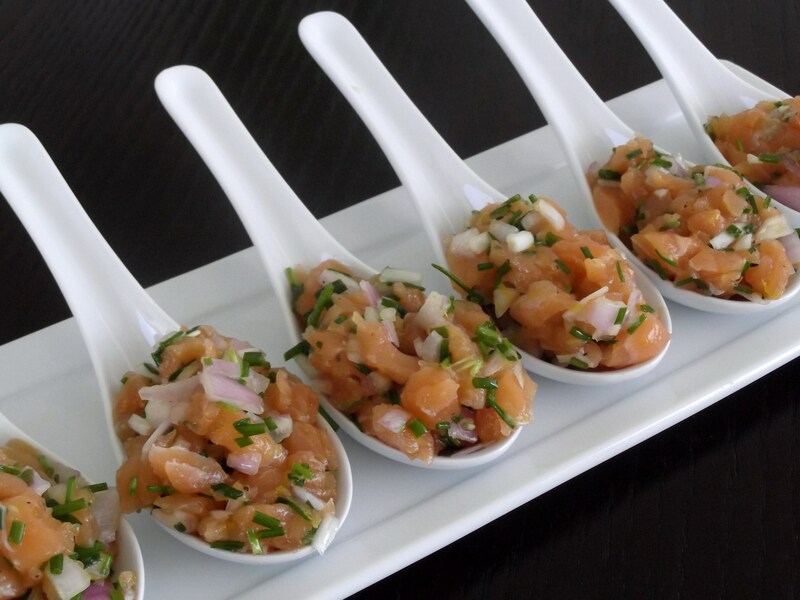 While delicious roasted, sauteed, or poached, I believe salmon is best eaten raw and finds its true calling in salmon tartare. My recipe below balances the flavors of shallots and lemons to create a perfect bite. Eat it on its own, spread it on baguette or even on top of seaweed. Using the recipe below as background, how might you make your own recipe? How about you? How about flavoring your own creme fraiche with red onions, wasabi or scallions? Just place a dollop right on top of your tartare! I only like to eat Salmon in it’s raw state, but because of the soft texture I like to add a little crunch, usually Panko sprinkled on top. Sometimes I add in a mild chili or some lemongrass chopped finely for a little kick. I love the idea of the panko – perfect textural contrast!